According to the local agriculture officials, this year salt workers can harvestL120,000-150,000 tons of salt, averaging 9-12 tons per hectare. 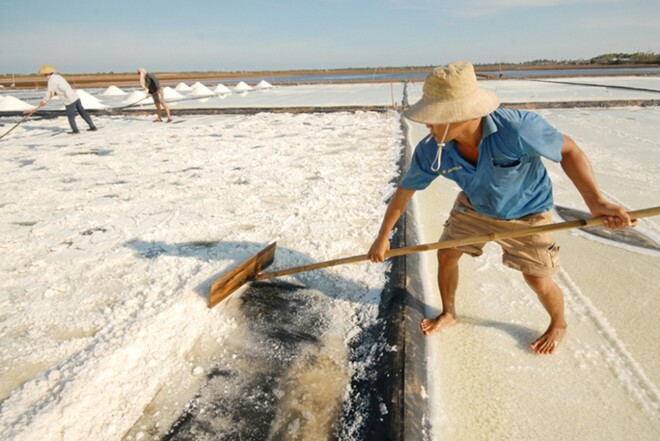 Salt workers use this tool, called “cau” to separate salt. 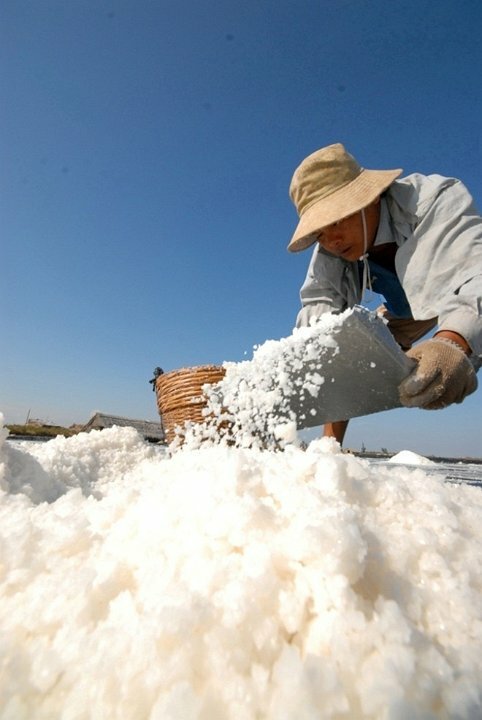 One of the heaviest tasks is pulling the “cau”. 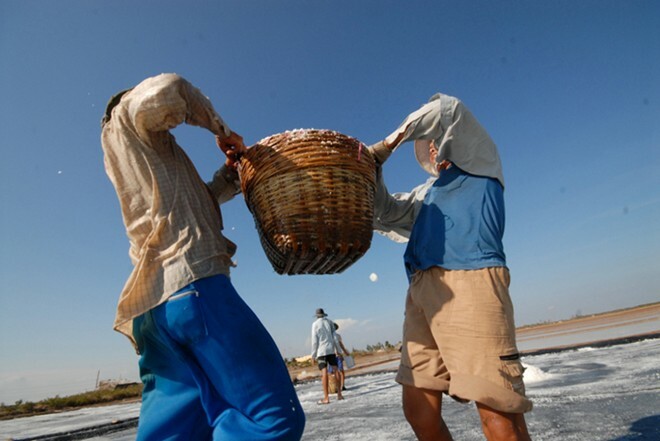 A “cau” is very heavy and only strong men can pull it under the sun. 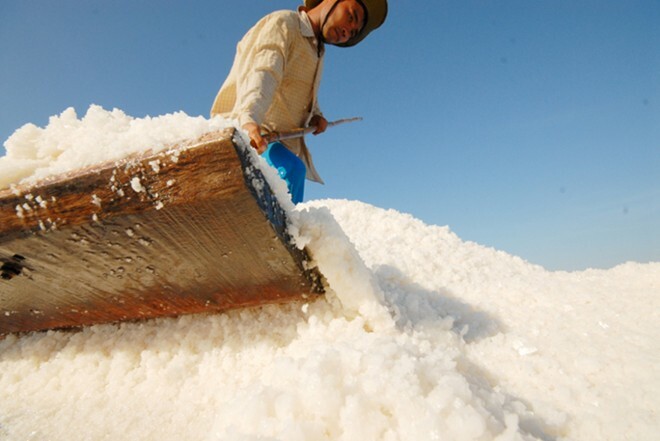 Salt is gathered into piles. 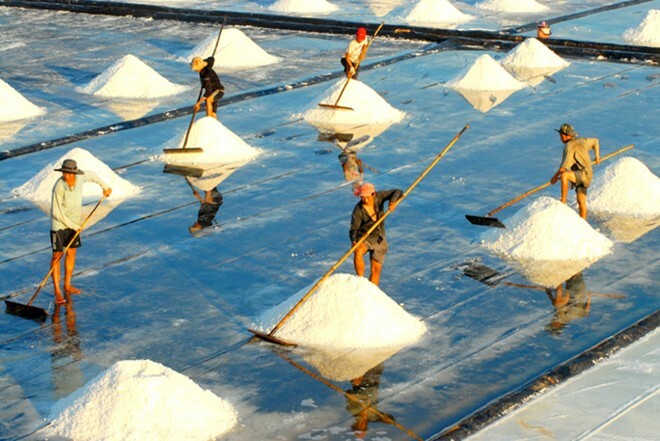 And being put into baskets to transport to warehouses. 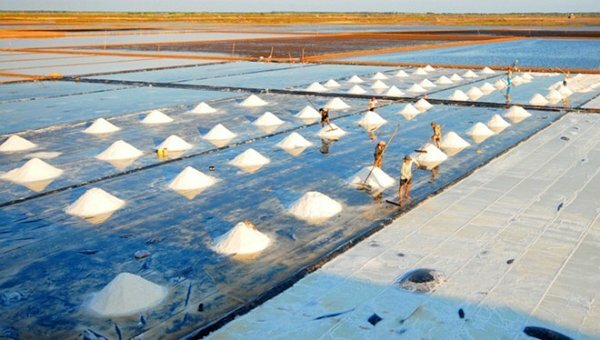 Each salt basket weighs 30-40 kg. 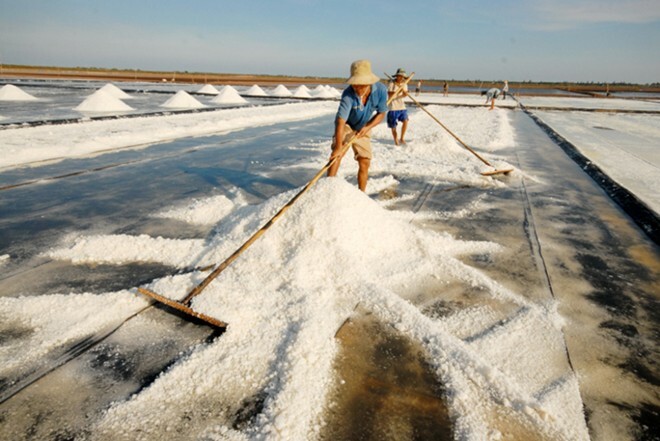 Transporting salt to warehouses is the hardest stage. 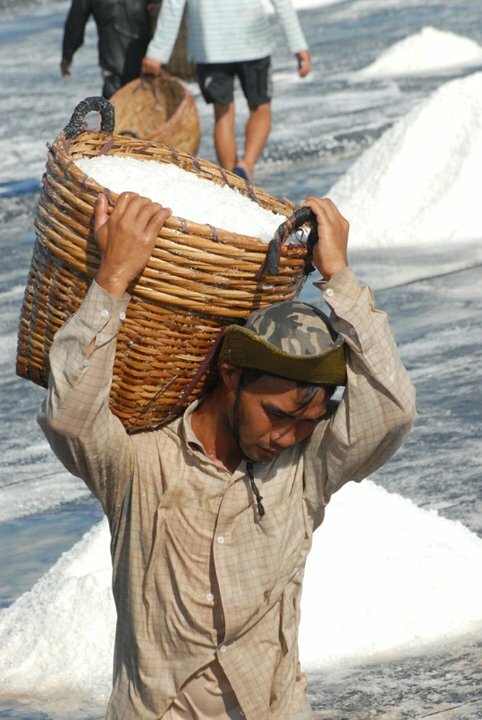 Salt workers still transport salt by carrying baskets on their shoulders. 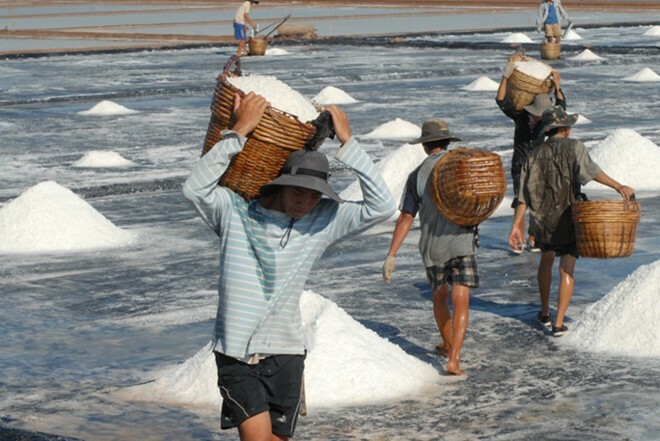 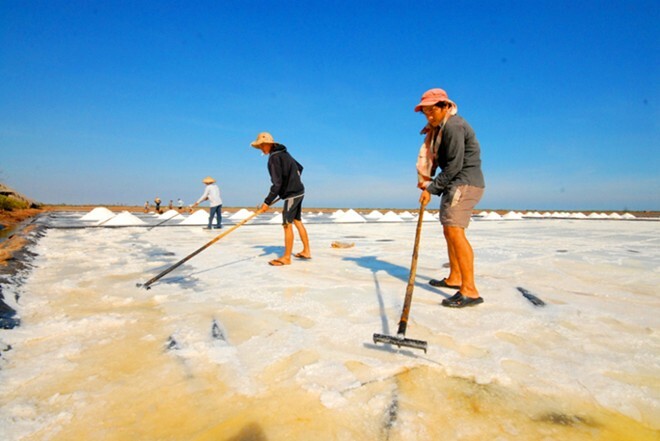 Salt porters earn VND200,000-300,000/day ($10-15).